Illuminate is Cork Film Festival’s unique series of film and discussion events that uses film to explore different aspects of mental health and wellbeing. Presented in association with Arts+Minds, the HSE Cork Mental Health Service and Irish Rail, these carefully curated events are unique in enabling dialogue about mental health in an open and welcoming space. The 2018 programme at Triskel Christchurch includes a new documentary, a debut feature and a classic film title, offering three very distinct platforms for discussion. The debut feature from Angelica Zollo is a frank, fearless exploration of the emotional consequences of sexual abuse. 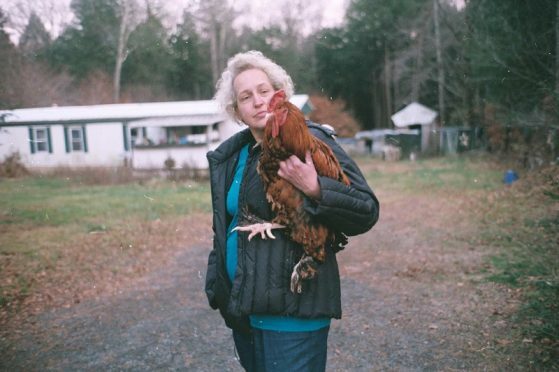 Richard Miron’s vérité documentary follows Kathy, who lives in Wawarsing, New York with her husband Gary and 200 pet chickens, ducks, geese and turkeys. Her obsessive connection with these birds puts everything else in her life at risk, as the situation takes its toll on her marriage, as well as her physical and mental health. The above screenings are followed by an extended panel discussion and Q&A session comprising of filmmakers, artists, mental health professionals, service end users, ethicists and advocates. Irish filmmaker Frank Berry (Michael Inside, 2017 Audience Award; I Used to Live Here, 2014), an empathetic advocate for mental health in Ireland, has been invited to choose and champion a film that has inspired and influenced him. Frank will present an extended introduction to Ordinary People.